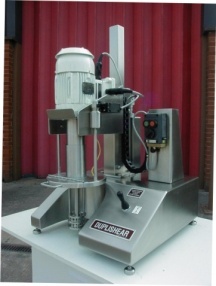 The development of a High Shear Mixer that would result in significant improvements to processing times, and at the same time reduce energy requirements, had been the goal of the design team at Millroom Mixing Machines Ltd.
As a consequence, the Unique Double Head DUPLISHEAR was born. 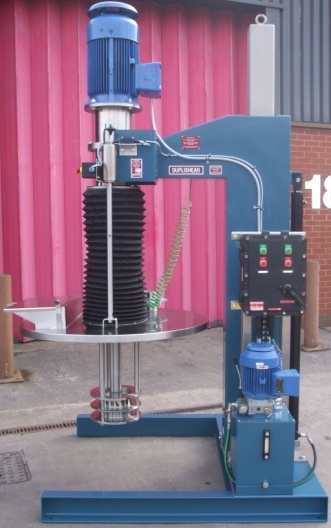 Over a period of years the Duplishear has proved not only to dramatically reduce processing times, but also to significantly reduce input energy requirements. 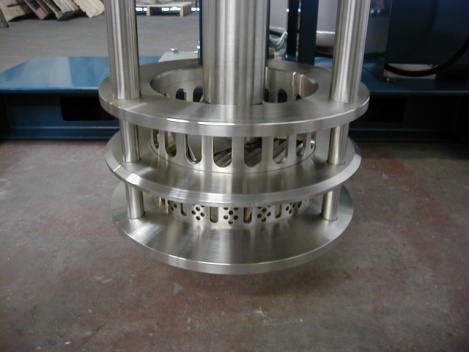 The design of the mixing head ensures that when solutioning solid resins into a solvent or other medium, the resin upon introduction into the batch is immediately broken down into small particles ensuring Rapid dissolution. Proven time savings of up to 75% are achieved when compared to other processes. 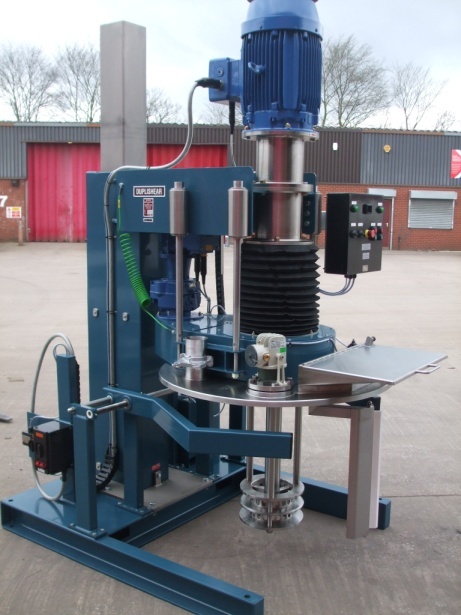 The company's most recent development is the DUPLISHEAR OS incorporating an independently driven variable speed ORBITAL SCRAPER together with the Duplishear to give added versatility to the unit, particularly for more viscous products. 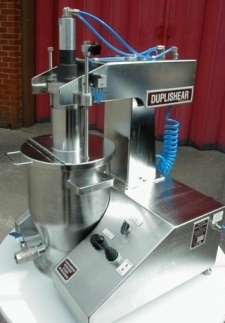 The Duplishear is used in the manufacture of paint products, resin solutions, inks, varnishes, cosmetics, food and many other products. DUPLISHEAR models are from Laboratory size up to 45kW and all machines are available certified Flameproof ATEX Ex II 2G or as non-flameproof units.